Cushion Frame Diamond Semi Mounting. 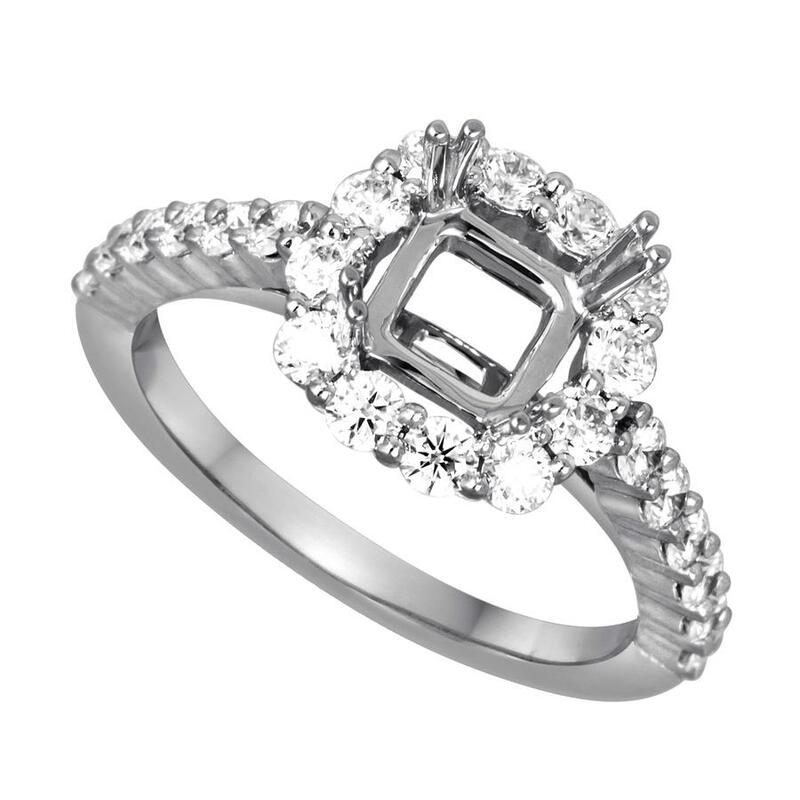 This Semi Mounting accommodates a 4.20mm princess cut diamond and has diamonds going half way down the shank. The mounting fits flush to Matching Band #BT2400-W.